practice diverse and powerful leadership and teaching styles. future career that I hope someday will blossom into reality. Cody working with the students. Cody working with machinery with the class. I remember the first morning I was going to visit North Union High School as part of my Early Field Experience in Agriscience Education. I was nervous on what to wear, traffic, a new place, and the 120 hours and multiple assignments that I had yet to accomplish. As my Keurig finished brewing my cup of coffee I grabbed my car keys and newly acquired “teacher’s bag” before heading to the infamous State Route 315 at promptly 6:10 am. That first morning when I parked behind the Ag Shop and walked in the door a sense of familiarity washed over me. The sight of welding booths and FFA banners, the student projects sitting around the shop, and the faint playing of country music instantly made me feel at home. Soon after meeting Mr. Jolliff and Miss Breck Finch I knew I would enjoy my time there. Ag teachers have a special gift to make you feel at ease because they genuinely care about you both in and out of the classroom. From that day forward every early drive and every late night was fulfilling, rewarding and exciting, because on the other end of that trip was a chapter of students, and I had grown attached. My cooperating educators were generous in giving me responsibility and firsthand experience. I had the opportunity to create and present lesson plans concerning professional development, parliamentary procedure, the FFA creed, and leadership. In addition, I was able to assist coaching and judging CDE teams, work one on one with students, and instruct classroom labs. I learned about concrete and soils, observed teaching strategies, and learned the ins and outs of a fruit sale. All the while receiving guidance, constructive criticism and insight about my future career as an Agricultural Educator. Perhaps the most important lessons I learned involved classroom discipline, this was the first time I was regarded as “Miss Motter” and had the duty of maintaining respect and attention. My conversations with students taught me new things every time I visited, and as a result I learned even more about myself, and my motivation for spending my talents in a classroom. Our Early Field Experience required interviewing other educators, daily journals, lesson plan analyses, and careful record of educational psychology techniques. It required early mornings and long commutes, business casual attire, and continual planning. The purpose of this experience is to allow the self-evaluation necessary to either continue pursuing this future career, or to realize it’s not your path. 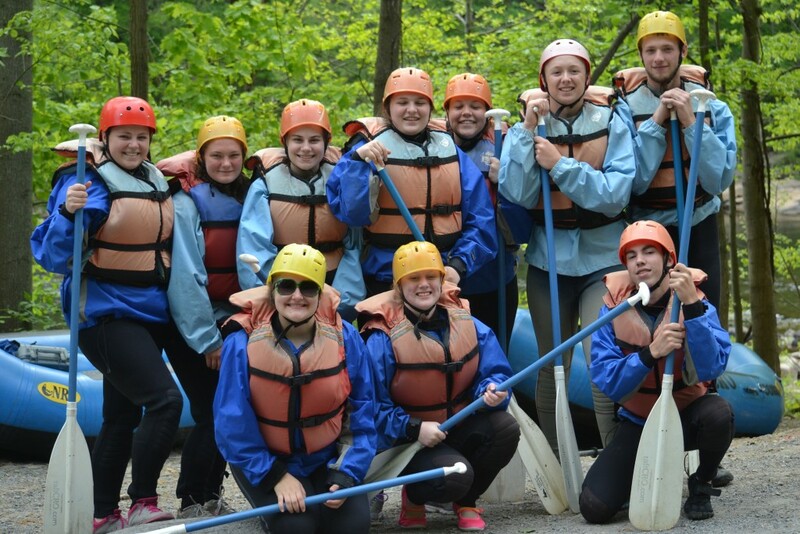 Although confident in my desire to be a teacher, my Early Field Experience affirmed my decision and made me even more excited for the future. For me, the classroom is where I truly become the best version of myself. I have the ability to encourage and empower our future leaders and I feel fulfilled when I can bring a smile or helping hand to a student. I looked forward to driving through the small town of Richwood, talking with my students, and being a North Union Wildcat. Some people may feel confined in a high school, but when I walk down the halls I feel nothing but excitement for the potential in each and every student. Not every day was easy or enjoyable, but every day brought a new challenge and lesson learned. I have to admit I love the way Miss Motter sounds, I don’t mind grading papers, and coffee tastes a lot better when it comes from the break room. 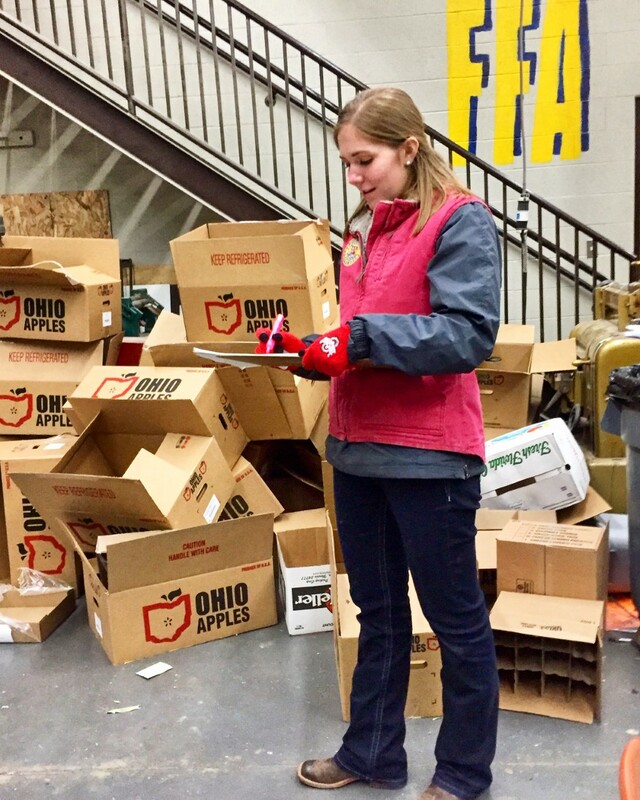 Abby checking in fruit for North Union’s FFA Fruit Sale. As I sit here in Orlando, Florida while on lunch break from my internship with the Walt Disney World Company, I can’t believe over two months has passed since completeing my Early Field Experience at Archbold High School in Archbold, Ohio. Having the opportunity to work with Ryan Sell, one of the best educators I know, and be involved with a community of students who live less than 20 minutes from my own town, was absolutely incredible. From attending Career Development Events to National Convention to being involved with the everyday classroom activities, this past semester truly affirmed my passion for the field and the knowledge that I want to teach. I would like to thank everyone who made my Experience so wonderful, and I wish them all nothing but the best! Samantha helping fit cattle for a show. 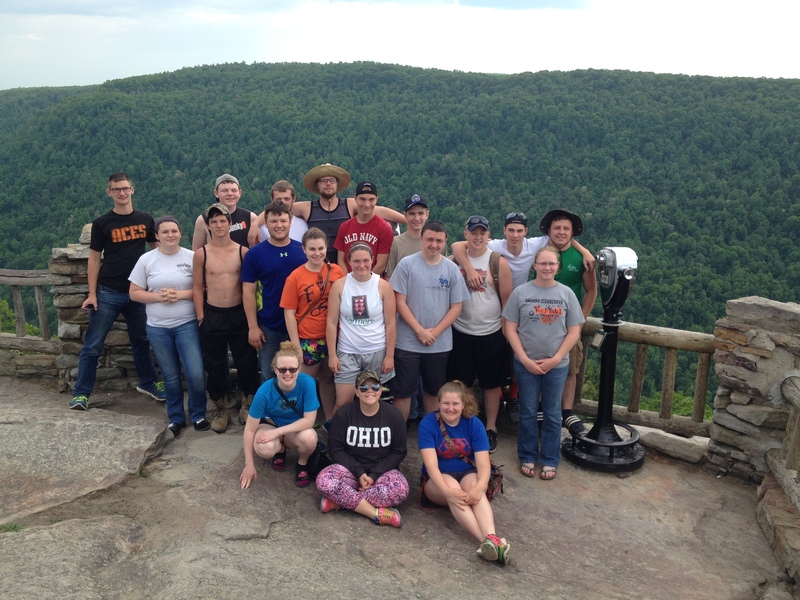 For my early field experience, I had the privilege of spending 12 days with the Amanda-Clearcreek FFA program. 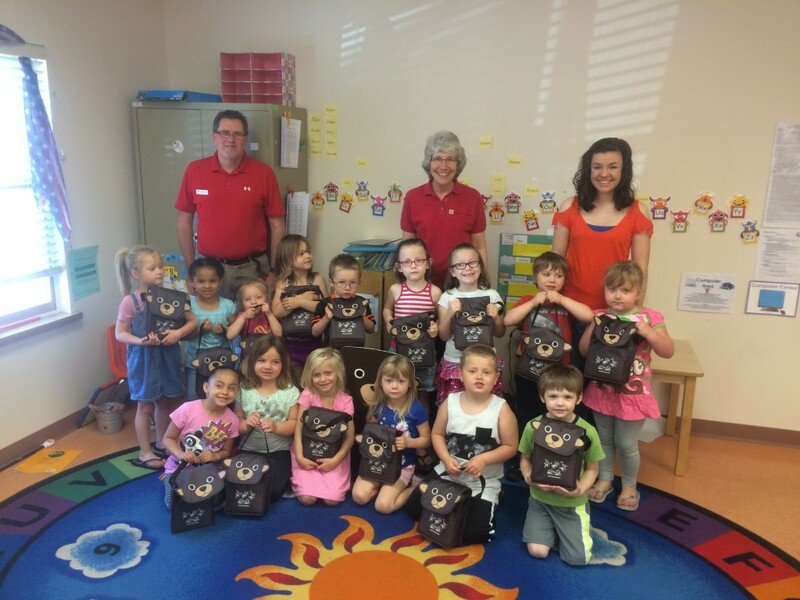 My first week with the program was spend helping them prepare for their annual banquet. 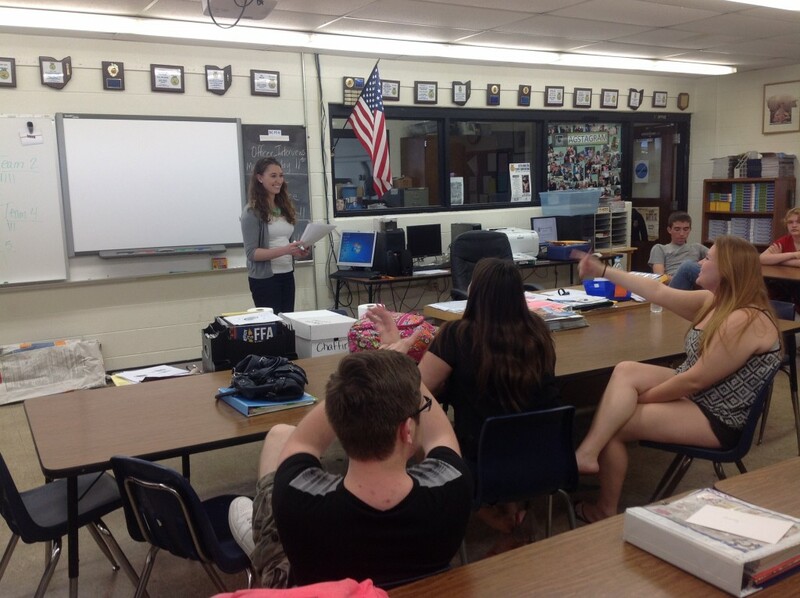 I helped the members put together programs, decorate the cafeteria, and rehearse the script. It was amazing to see how much these students had accomplished in just a year and how proud they were of not only themselves, but of each other. The way the students worked together to plan, set up, and tear down the decorations was amazing to experience. After the banquet, I was better able to observe how the program functions on a normal basis. I had the opportunity to help oversee both an animal science and a shop lab as well as observe the teaching styles of all three of the program’s teachers. The rest of my time spent with the Amanda-Clearcreek chapter was on a trip to West Virginia for the Top Fundraisers of the spring semester. 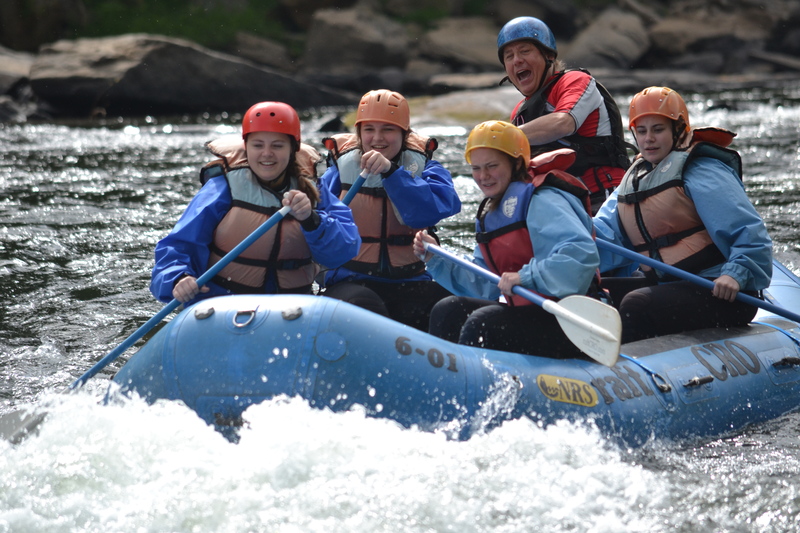 We took 12 students on a trip to Dolly Sods Wilderness and white water rafting on the Cheat River. We spent two days backpacking in the Dolly Sods Wilderness and spent the night in the forest. On the way back to the bus, we lost the trail and got a little lost. It was through this experience that I learned that working with the students, listening to their input, and coming up with an effective solution is a much more effective way of teaching students then just lecturing them. This trip also reaffirmed my belief that through the FFA program, students can learn just as much outside of the classroom as they do inside of the classroom. I loved the time I got to spend with the Amanda-Clearcreek students and look forward the time I get to spend in the year to come as their student teacher. This past May I was required to complete an Early Field Experience (EFE) for my major. Since I am a agriscience education major this meant that I had to help a teacher in the agricultural education profession for two weeks, and complete various assignments to be turned in at the end. As I was going through my EFE it gave me a sense of satisfaction for the major I have chosen. I was able to help students with problems they had, help the teacher with anything she needed, grade assignments, complete any jobs she needed done, and I also got the opportunity to teach a few various leadership games to her AG 1 class. Some of these game included tying six strings to a pen and having a group of students write a word, to putting a small tape square on the floor and having the entire class have one foot in the square without touching outside of it. I loved being in charge in the room and by the end of it, having the students know who I was. It gave a reassurance that I have chosen the right major. I cannot wait to see these what these next three years have in store for me! Classes were winding down, finals were starting up, and I was on my way to Bloom-Carroll High School to start my early field experience. My first day started out a little nervously. I kept thinking on the drive to the school, “What if the students don’t like me? What if I’m absolutely terrible at this? And the “What if’s” just continued on in my head. But, when I walked into that classroom and met Christi Bachman I was instantly put at ease. She was so excited to have me in the classroom and made me feel welcome immediately so I knew this was going to be a good experience. However, never did I imagine it would be one of the best experiences of my life. After about a week of observing, helping, and attending the state convention with members from the FFA chapter, Mrs. Bachman and I decided I was ready to teach a couple mini-lessons in the livestock and animal science classes. I started out with newborn dairy calf feeding, “aka” colostrum. It was fun to teach about something I was so familiar with and the students enjoyed learning about a topic that may not necessarily be taught in the typical Ag classroom. My second day of teaching I moved on to the four digestive systems of animals, explaining their functions, similarities, and differences. I was able to use pictures from a lab class I had just completed back at OSU to show the students what I was explaining. It felt great to apply what I had learned in my classes to the teachings I was doing in another. Two days later I did a review game with the two classes over what I had taught, with a treat to whoever answered the question correctly. I was amazed at how much the students remembered and it was a fun way for them to interact and show what they had learned from my teachings. One of the most challenging positions I was put into during my early field experience was being one of the three interviewers for the new chapter officer team. I was honored that Mrs. Bachman asked me to do it and believed that I could help select a qualified officer slate, but it was still a tough process to only select 10 out of 17 applicants. After all of the interviews were finally completed and the three of us judges had selected a slate, I was drained. I had just witnessed 17 of the students that I had come to know and care about over the last ten days show their passion for agriculture and the FFA and why they should be selected for an officer position. There were both smiles and tears throughout the room when the slate was announced, but every single one of those students congratulated each other showing how truly exemplary each of their characters’ was. Reflecting on that experience, I know it helped me grow and realize that as a future teacher I was going to have to make some difficult decisions, but in the end everything would be alright and I could be confident in my decisions. On my final, final day at Bloom-Carroll I arrived at the auditorium 3 hours before their FFA Banquet was to begin, and for the next 6 hours I never stopped moving. We finished the final script, printed off seat cards, figured out the flow of the program, and just about any other last minute minor detail that comes with putting on a large banquet. I hold great respect for backstage managers now, and how they do what they do so perfectly. With the whirlwind of students coming and going backstage it was crazy. But amidst all that craziness, the banquet was a huge success and I was proud to see all of the students’ hard work. When the night came to an end I was sad to say goodbye to many of the students I had come to know well, but I knew for some our paths would cross again. 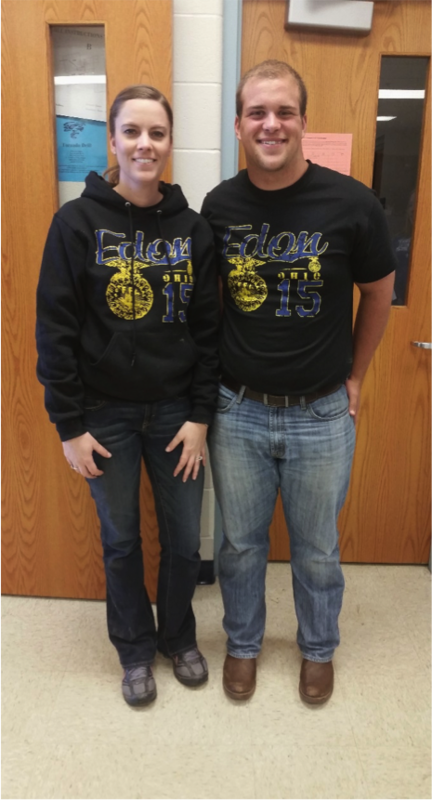 Those 11 days spent at the Bloom-Carroll FFA were some of the best memories I will have. Despite all the madness that comes with banquet week, I learned a lot and had fun doing it. 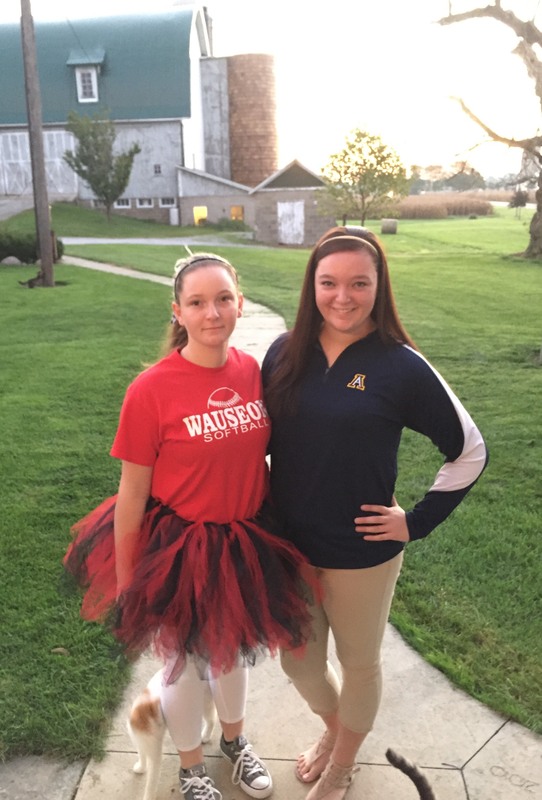 Christi Bachman showed me what it means to be an agriculture educator and FFA Advisor. She told me one day after school “This job isn’t just about teaching agriculture; it’s about being a leader, role model, coach, mentor, and counselor all wrapped into one person”. I thought about that statement a lot after that day and realized that if that’s what this job is, I know I’ve found my fit. Kruse instructs a lesson in the classroom. This past May, I completed my Early Field Experience at North Union High School in Richwood with Mr. Tom Jolliff. I was very excited when I received my placement from Dr. Cano because I knew that North Union FFA was a great program and I knew I would learn a lot in my time there. However, I need to include an important piece of background information: NU FFA was my home FFA chapter’s competitor. When I told my family and friends about where I would be spending my days for 2 weeks, I received tons of jokes about going “up north” and being “brain washed” by their different style. I even started to doubt my great decision of choosing North Union. Needless to say, I was very nervous for my first day. I quickly realized that people’s accusations and my thoughts were way off track. Don’t get me wrong, it was a very different program than what I was used to, but the agriculture department and the entire teaching staff was extremely welcoming, even though I came from their rival school. 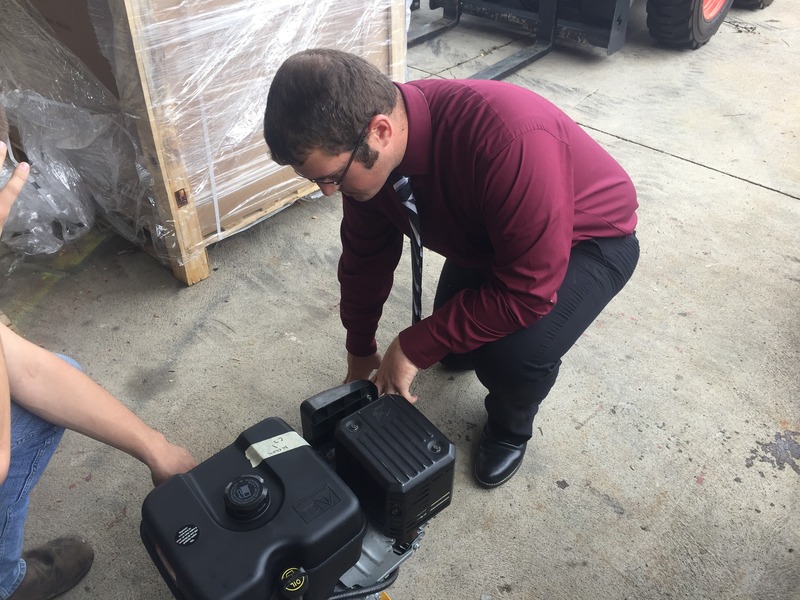 While at North Union, I was able to participate in many different projects such as making a robotic arm with hydraulics; small engines, welding, wood clock building, and helping the freshman classes start their Supervised Agriculture Experiences (SAE). 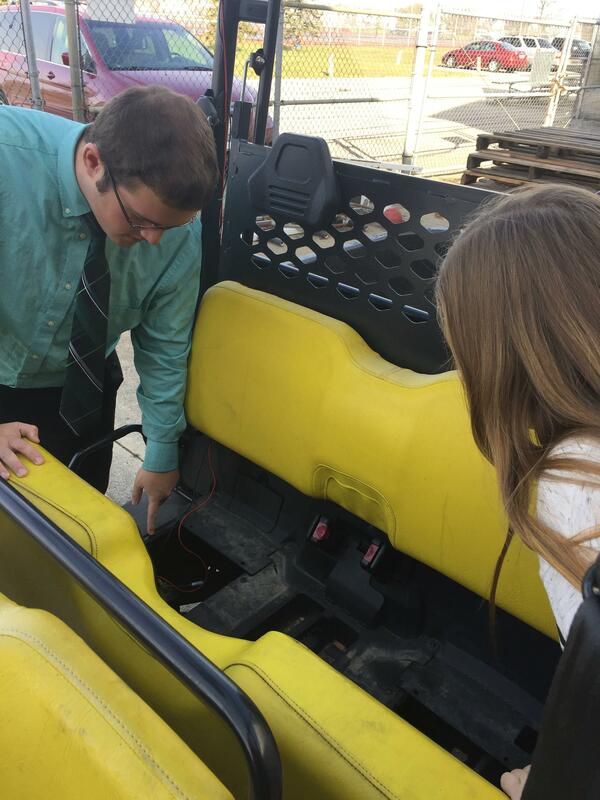 I also helped with their end of the year event, Food for America, where they take 2nd graders in the district to their fairgrounds and the FFA members have several stations for them to learn about animals, crops, farm machinery, and even ATV safety. It was so rewarding to help walk the students through their projects and to watch them think about their next steps. I’ll never forget the look of pride on one student’s face when they finally made their hydraulic arm pick up the pop can after hundreds of tries! My EFE was so much more fulfilling then I ever thought possible. I was able to see a successful FFA program from a different side and I gained more knowledge about what it takes to run a classroom. I was thrilled to see the impact that Mr. Jolliff had on his students and I can only hope to have a similar encounter when I begin my career in Agriscience Education. Ever since I was a young child I knew that I wanted to be involved in the agriculture industry. I never knew in what way until my senior summer spent at FFA Camp when I was there as an Ohio FFA State Officer. Little did I know that these weeks would define was what I passionate about and help me find my calling to the agriculture industry. Now after completing my first year at The Ohio State University- ATI as an agriscience education major, my passion is even greater than it was when entering college. 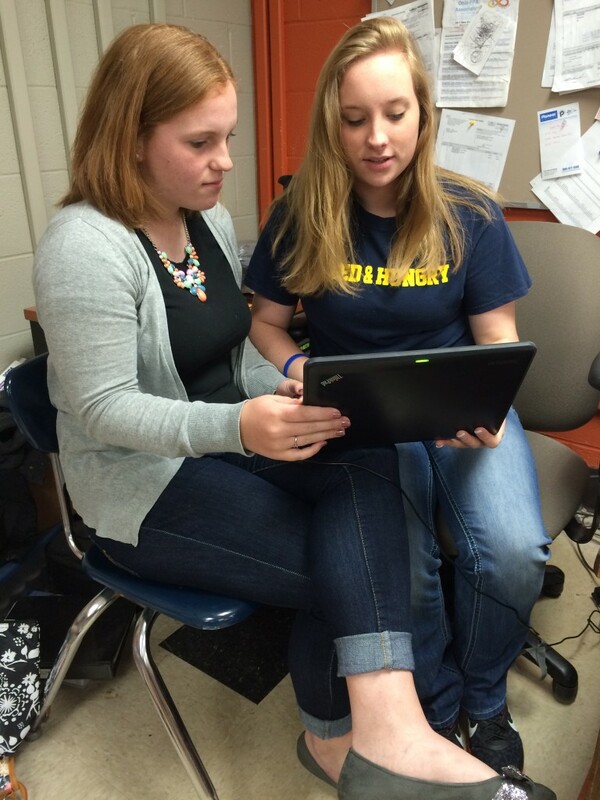 As part of my course work I worked with Mrs. Martin and students at West Holmes High School. During this time I was asked to help students and the teacher in different ways. These tasks helped me realize the immense amount of work that goes into being a teacher and advisor. 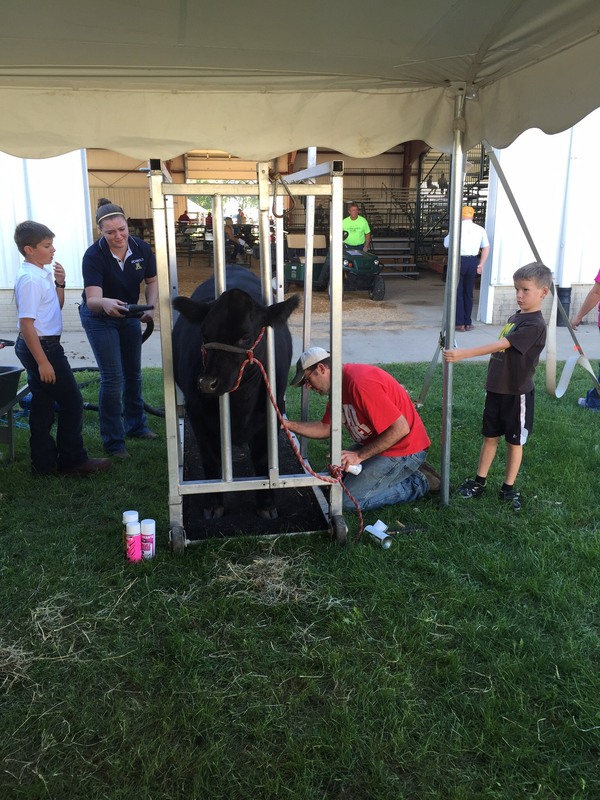 During my time I got to teach students quality assurance so they could show at the county fair. 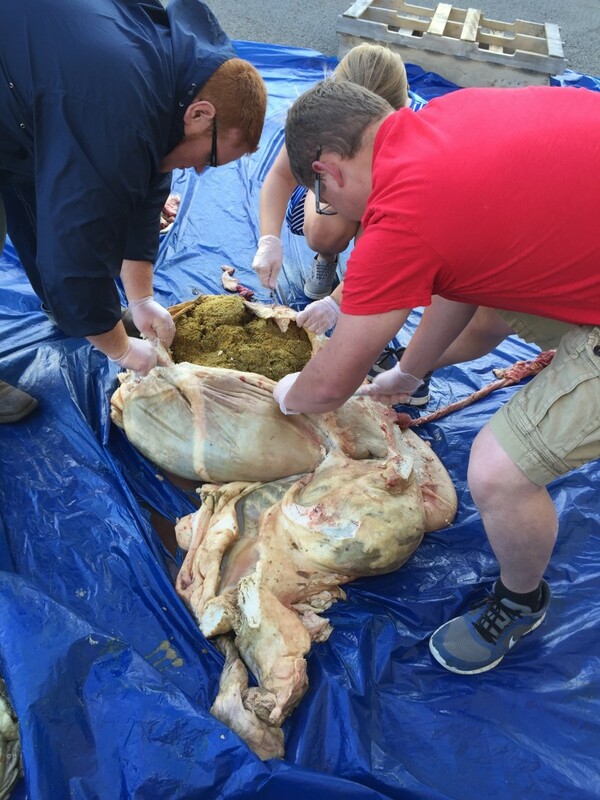 I was also fortunate enough to teach the juniors and seniors about the ruminant digestive system. I taught the students one day and then the next we all had the opportunity to dissect the system to see what exactly the feed looked like in the system. This dissection was a learning experience for the students and me as well. 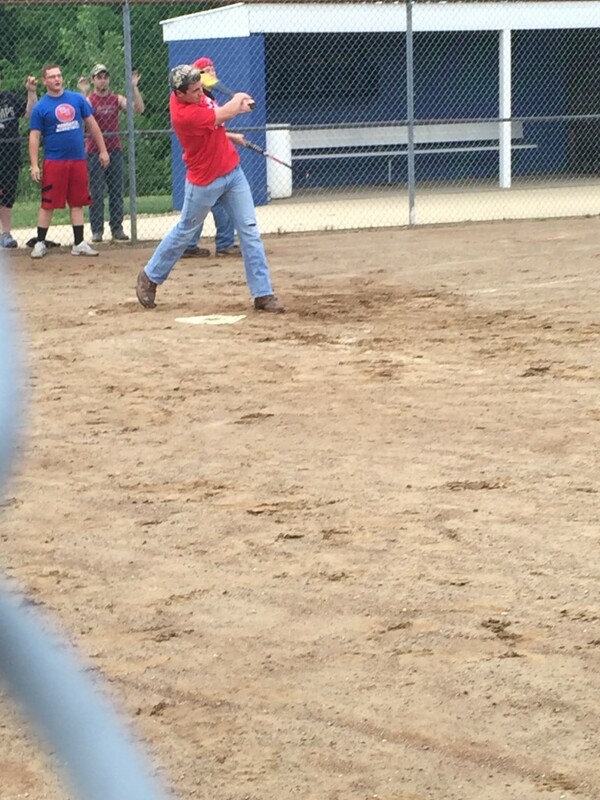 I was also invited to the May FFA meeting held by the chapter where the students played softball, ate hotdogs and held the regularly scheduled meeting. 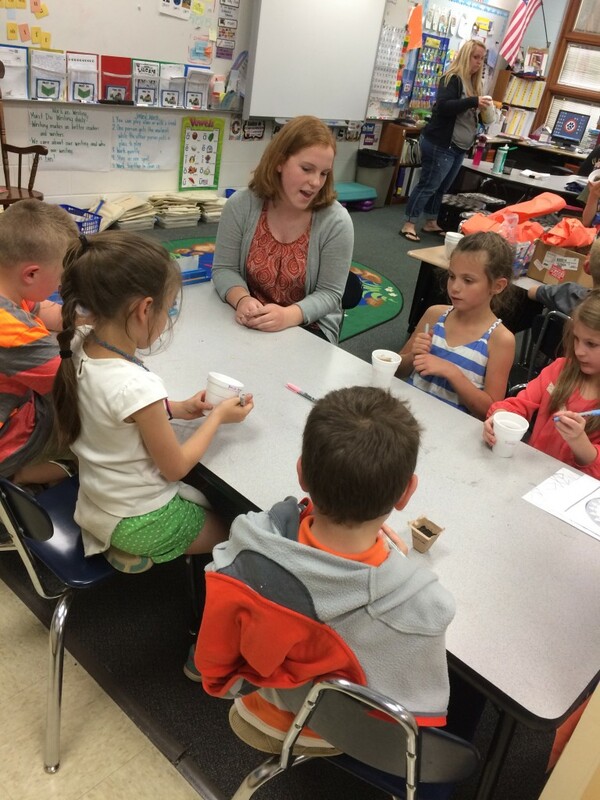 Norris leads students in directing the digestive system of a cow. Norris enjoys a softball game during a chapter meeting of the West Holmes FFA. This past week I was also invited to ride around with Mrs. Martin as she visited students to see how their SAE’s (Supervised Agricultural Experience) were going. She also helped students with their books so that they were completed for the county booking judging for fair. To see the excitement that the students had was amazing and reminded me why I as pursuing the career that I am. I one day want to make the impact on their lives as they made on me in those two weeks. It was sad to leave these students as they have changed my life for the best. I attended Edon Northwest Local Schools for my Early Field Experience located in Edon, Ohio. 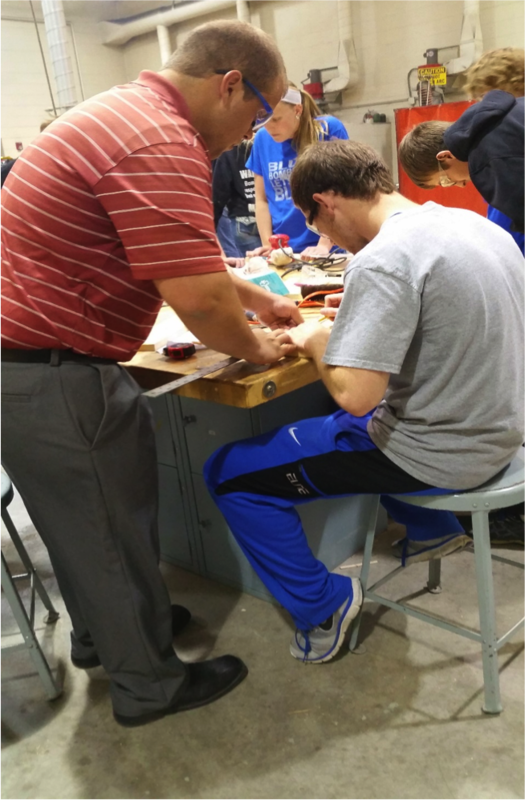 During my time there, I helped students complete end of the year shop projects including woodworking and welding. 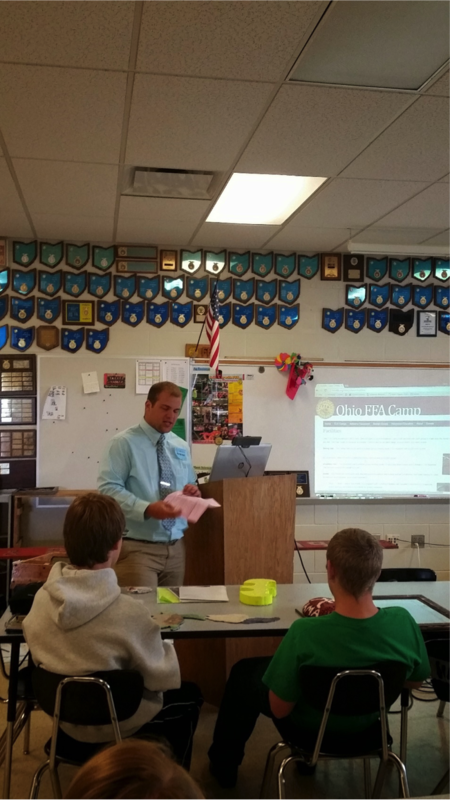 I also gave a short presentation about FFA Camp Muskingum to 8th grade and freshman students. During my experience I also had the opportunity to sit in at an Edon FFA meeting as well as a staff meeting of educators. This was very insightful too see everything from the teacher’s point of view! A picture of my cooperating educator (Ms. Crossen) and I on my final day of my early field experience. Here I showed the students one of my old FFA camp activities schedule that outlined what I did day by day. I also gave them the information for the Ohio FFA Camp Muskingum website so they would be able to check it out on their own time. Here I had my first practice of teaching and helping a student make precise measurements for his nail and tool box project. The student was very cooperative and worked well under my instruction. I have known ever since I was a little girl that I wanted to help people. Growing up, I helped my mom take care of my little sisters, helped build my family’s agritourism business and helped “make the best better” by completing community service through my county’s 4-H program. When I was a teenager, I realized that I wanted to carry my passion for helping others into a career that would directly impact the community. Being a part of the 4-H program made me realize what an impact that extension educators can have on youth, and prompted me to pursue a career in extension. As part of my studies in Community and Extension Education, I completed my 2 week Early Field Experience in Hardin County Extension office. Before starting my Early Field Experience in Hardin County, I had only experienced what happens in my local office, Washington County. Even though I knew Washington County’s programs relatively well, I had not been aware of all the things that educators do behind the scenes. I also learned that a collaborative effort is important among all extension program areas, including 4-H Youth Development, Agriculture and Natural Resources, Family and Consumer Sciences and Community Development, to ensure a strong county extension program. Mark Light, the 4-H Educator, made arrangements for me to work with the ANR and FCS educators, as well as himself and the 4-H Program Assistant. I learned that a lot more goes into extension than planning camp, pre-fair judging and the county fair. Our educators work so hard to improve our communities, and I am now more grateful for them than I ever have been before. I cannot wait to use what I learned in my future extension career!